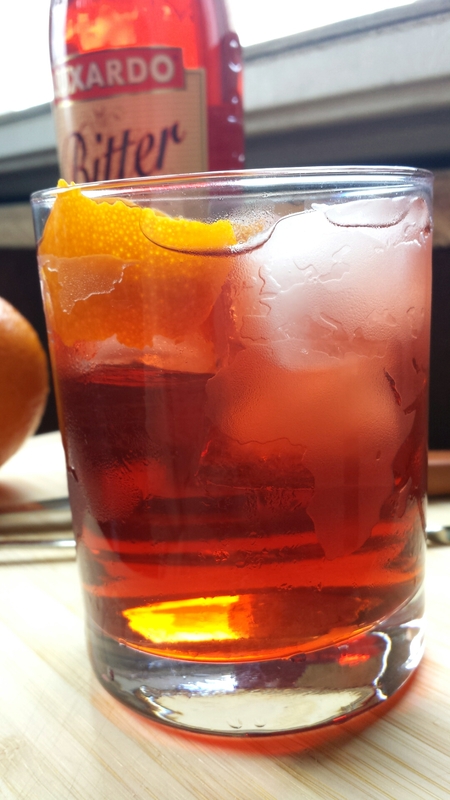 Faux Negroni? Doppelgröni? Call this frankensteined cocktail whatever you like, except a “Negroni.” Apparently, one without Campari just isn’t a Negroni—the bitter aperitif is essential to the drink. I first learned of Campari at about 16, when I was reading the Gossip Girl YA book series well before Blake Lively ruined it for me on TV. In the books, these Upper East Side high school WASPs drank Campari on the rocks. Naturally, I assumed the drink was some sort of sweet, fruity concoction, probably because all I’d tasted at the time was Watermelon Pucker and Malibu Coconut Rum. Eventually I learned that Campari is a bitter liqueur, but I was still surprised by its intense taste the first time I had a Negroni. It took me a couple tries to warm up to the flavor of the drink, but now I crave ’em. Unfortunately I don’t have any Campari in my bar yet, so when I saw Luxardo Bitter on sale at Binny’s Beverage Depot, I snagged it up. (Apparently $9.99 is an insanely low price.) I’d heard it was a good introduction to bitter aperitifs, and god knows I can’t pass up a 50% sale on booze. Here’s the recipe for the slightly controversial drink. Admittedly, it isn’t quite as punchy as a standard Negroni, but it still tasted great and quenched my craving for a bitter pre-dinner cocktail. Fill a lowball glass with ice. 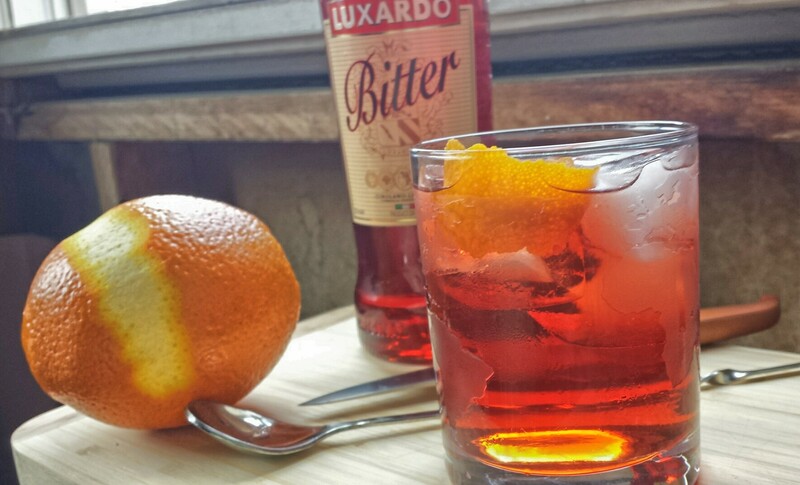 Pour the gin, Luxardo Bitter, and sweet vermouth into the glass and gently stir to mix. I added a splash of soda, but that part’s up to you. Add a slice of orange peel for garnish. Enjoy! Have you used Luxardo Bitter before?